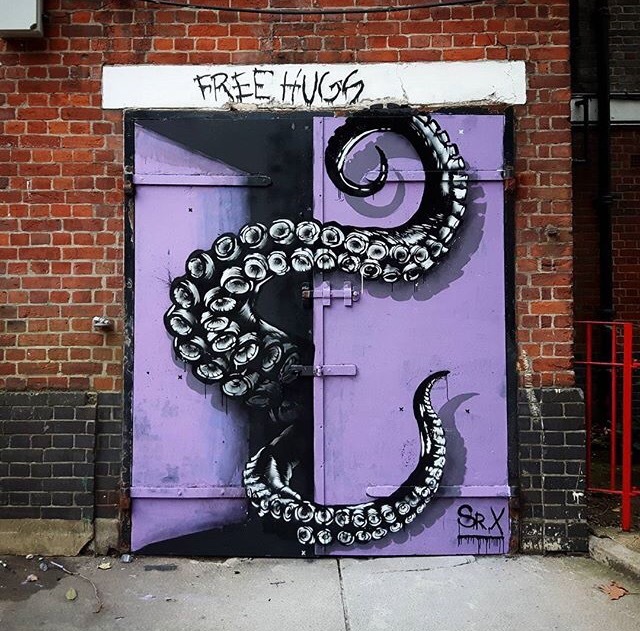 Recent mural titled “Free Hugs” by Spanish street artist Sr.X (Señor X) in Camden, UK. Would you dare to come in? Pingback: Free Hugs — via STREET ART RAT | GoodnightNina. OMG that’s wild! And brilliant. No! I wouldn’t go in lol.